With over 700 islands throughout the Bahamas, can you imagine a better place to go island-hopping? However, not all of the islands are created equal – some of them are relatively big and have a lot going on, while others are simply small patches of land with little to offer for entertainment. In this blog, we’re going to share all of our favorite islands and some recommended restaurants and bars to check out while you’re there. Plus, they’re all located in close proximity to Schooner Bay for an easy day trip of island-hopping in paradise! Marsh Harbour is the commercial center of The Abacos. Here you'll find the larger of the two international airports on the island, a variety of stores and shops, restaurants, banks, hotels, marinas, and all of the other amenities you might need while enjoying your home away from home. 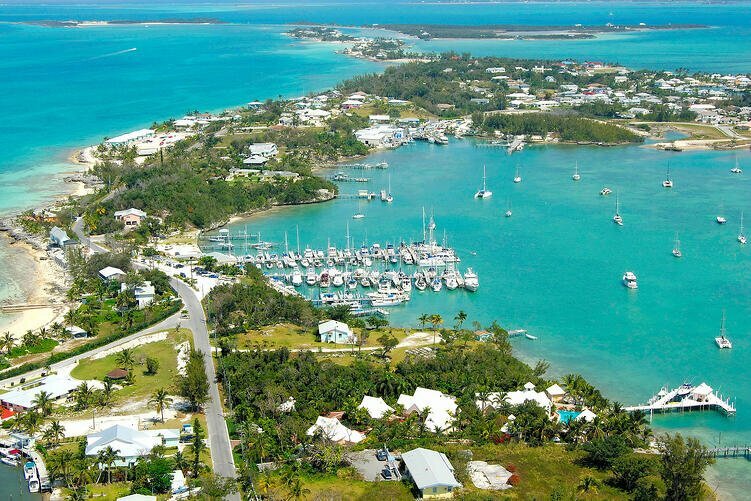 Despite being the largest city in Abaco, Marsh Harbour still has a small-town feel, complete with welcoming locals and friendly visitors. You can dock your boat at any of the full-service marinas or you can rent a boat here to start your day of island-hopping. This is the best place to stop if you want to stock up on supplies for home or for a day of boating. If you get hungry while you're in Marsh Harbour, we recommend checking out Wally's Restaurant, Snappas Chill and Grill, The Bae, or Jib Room. Hope Town is a charming community that's maintained its quaint Loyalist architecture and diverse historic features since it was co-founded in 1785. In fact, the town center still doesn't allow any cars to preserve its Colonial experience -- walking and bicycles only. The picturesque buildings and landscape make Hope Town a popular vacation destination, and it's also an amazing spot for a photo shoot, whether it's for the family holiday card or just for your Instagram page. Towards the northern end of Elbow Cay, you'll find one of The Bahamas' most notable landmarks -- the candy-striped Hope Town Lighthouse. You will also find a variety of gift shops and restaurants as well as a museum. Recommended restaurants include On Da’ Beach, Firefly Bar & Grill, Wine Down Sip-Sip, and Harbour’s Edge Restaurant & Bar. If you love Bahamian beaches (who doesn't? ), you have to make a point to visit Treasure Cay. This cay is known for a 3.5-mile stretch of powdery white sand with diamond and turquoise water flowing gently on shore. The area was voted into the top 10 of a reader poll from Caribbean Travel & Life. Despite its reputation as one of the most beautiful beaches in The Bahamas, one thing that visitors love is that the beaches are never crowded here. 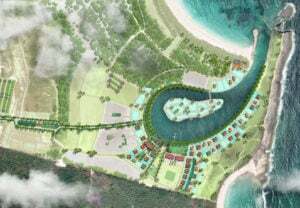 Treasure Cay has a resort community complete with a golf course, fun excursions, and restaurants. If you're looking for a bite to eat, we recommend Treasure Sands Club, Café La Florence, Coco Beach Bar & Grill, and Bahamas Beach Club. As you might have guessed, Green Turtle Cay got its name from the abundance of green sea turtles around the area. Living up to its name, this is one of the best places to go diving and snorkeling in The Bahamas. You can also explore The Albert Lowe Museum, rent golf carts, and check out one of the many events they have each month. As far as dining goes, we recommend Green Turtle Club and Marina, Pineapples Bar and Grill, Harvey’s Island Grill, and The Wrecking Tree. If you'd like to check out Schooner Bay and enjoy island-hopping in The Bahamas, you can do both by scheduling a Discovery Stay! You'll start your trip in Marsh Harbour where we'll show you around and grab a bite to eat. Then one of our most popular excursions takes you to Green Turtle Cay as well as No Man Cay where you can swim with the pigs. To learn more, go to our Discovery Stay page.